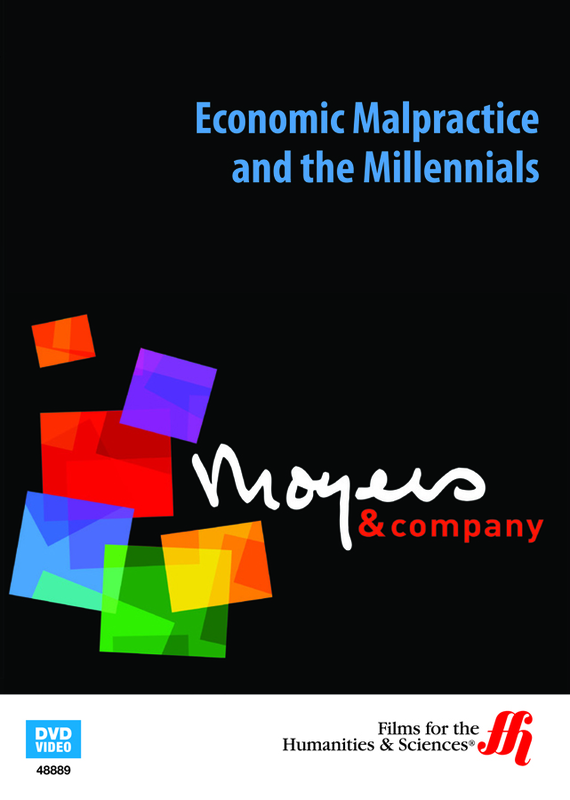 The future of the American Dream is up for grabs, says Bill Moyer, as Millenials born between 1979 to 2000, manage the everyday circumstances of global economic crisis. If the American Dream was once an assumption in the minds of youth living in the United States, the transformation of the country from largely middle-class to a society of ‘haves’ and ‘have nots’ has radically altered the expectations of a generation faced with devolution of spending power. In the U.S. there are approximately eighty million adults born between the years 1978 and 2000. Since the turn of the 21st century, economic recession followed by global financial crisis has deeply impacted their lives. If instability is the taken for granted state of the union, rather than a momentary instance, what can this workforce of technologically savvy consumers expect? Economic inequities is the subject of the episode Economic Malpractice and the Millennials (2012). Has corruption ruined the idealism that once permeated American society, or have tough economic circumstances laid the foundation for better monetary, fiscal, and regulatory reform? Advocates focused on lobbying on behalf consumer protections in the name of ethical legislative action, are interviewed by host, Moyers as he explores the relationship between market and government intervention. Conservative economist, Bruce Bartlett, who was responsible for domestic economic policy at the White House under the Reagan Administration, offers keen insight into the transition of a U.S. since the ‘’Go-Go 80s’, arguing that taxation was too narrowly focused to manage the broader scope of financial and social risks that would rock the economic foundation of the nation. Television Series Broadcast Date: 10 Feb 2012.